What Will $1,800 Rent You In Logan Square, Right Now? 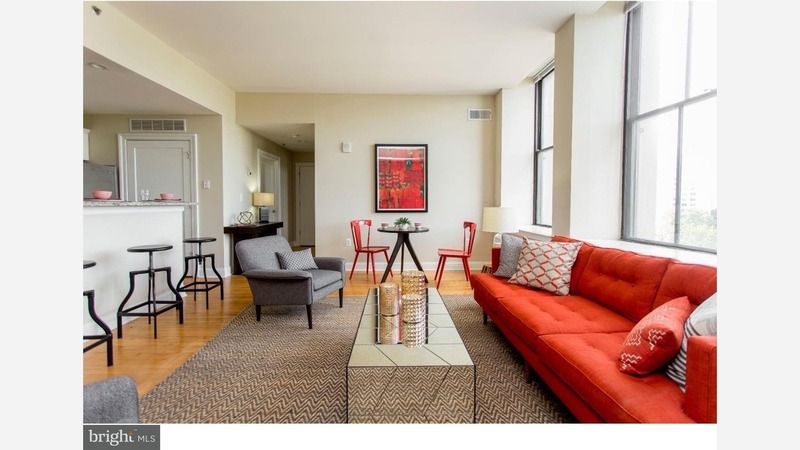 Listed at $1,795 / month, this 1-bedroom, 1-bathroom apartment is located at 1900 Arch St. In the unit, you can anticipate hardwood floors, stainless steel appliances, granite counter tops and ample natural lighting. The building features garage parking, a fitness center and a roof top deck. Unfortunately, cats and dogs aren't permitted. Next, there's this 1-bedroom, 1-bathroom unit located at 230 N 21st St. It's listed for $1,775 / month. In the unit, there are a dishwasher, hardwood floors, granite counter tops and great natural lighting. Good news for pet owners: cats and dogs are welcome. Here's a 766-square-foot 1-bedroom, 1-bathroom apartment at 1600 Arch St. that's going for $1,750 / month. In the sunny unit, you'll get hardwood floors and granite counter tops. The building features on-site laundry, a fitness center and additional storage space. Cats and dogs aren't welcome. Located at 2121 Market St., here's a 700-square-foot 1-bedroom, 1-bathroom apartment that's listed for $1,700/ month. In the unit, you can expect in-unit laundry, hardwood floors and ample natural lighting. The building has a fitness center and a residents' lounge. Sadly, cats and dogs aren't welcome.